*Note this image is for descriptional purposes. At Barebonekit.net, we believe in and support the American worker. That’s why all Barebonekit.net custom computer systems, combos and barebone kits are designed, assembled and supported in the United States. 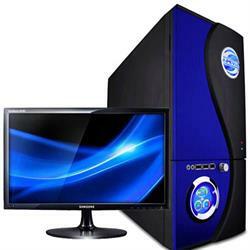 Buy American – Get Barebonekit.net custom computers at the most competitive prices. AMD Ryzen: superior perfomance and unmatched efficiency for Gamers and Creators. Unlocked for overclocking, advanced intelligent "Zen" architecture, with AMD SenseMI Technology. This configuration page is designed to show all of the available options we currently offer for a truly custom desktop computer. Please choose configuration options below. We will assemble and test any custom configuration you create free of charge! WE RECOMMEND A WATER COOLING CPU SOLUTION FOR ALL AMD RYZEN CPUS TO AVOID OVERHEATING PROBLEMS AND SYSTEM SLOW DOWN ISSUES! With the increase in magnitude of the usage of computers to more than 8 hours a day, there are additional demands placed on the processor. The processor then starts generating a lot of heat which is caused by the internal electrical energy of the components, and gets warmer the harder the components have to work. Improper maintenance of heat and overheating of the processor can reduce the lifespan or cause irreparable damage to the processor, it may also damage other components like circuits, RAM, or hard drives, and makes the computer inoperable. In order to avoid damaging the components and prevent loss of data, it becomes essential to have good cooling equipment. For your convenience, our technical team has put together the most recommended cooling solution options around so you don't have to sort through hundreds of choices available. If memory cooling solution is desired, please make sure that the quantity of heat spreaders matches the quantity of memory sticks ordered. Dual monitor support can be achieved through using a separate PCI-Express video card with at least 2 of the following video outputs, DVI, VGA, HDMI & DP (Display Port). For Triple or Quad monitor support, 2 video cards must be used with dual outputs along with the motherboard containing 2 PCI-Express x16 slots. The computer power supply is a vital part of your computer and provides the power to the components in your system, and also cools your computer with a fan. Minimum wattages range from 300W to 500W, standard wattages range from 550W to 650W, high-end gaming power supply wattages range from 700W to 850W. It would be wise to get a higher wattage PSU so that you can rest easy knowing your PC is being powered properly, and without having to worry about upgrading the PSU anytime soon. As processors, graphics cards, RAM, hard drives and other components in computers have increased in speed and power consumption, the amount of heat produced by these components as a side-effect of normal operation has also increased. These components need to be kept as cool as possible to prevent overheating, instability, malfunction and damage leading to a shortened lifespan. While in earlier personal computers it was possible to cool most components using natural convection (passive cooling), many modern components require more effective active cooling. To cool these components, case fans are used to move heated air away from the components and draw cooler air over them. Fans attached to components are usually used in combination with a case fans to increase the efficiency of cooling. Multiple selections can be made in this category. In order for your PC to recognize more than 4GB of RAM you must install 64-Bit Operating System. If more than 16GB of RAM is desired, you must have Windows 7 Professional, Windows 7 Ultimate, Windows 7 Enterprise, Windows 8 or Windows-10 - All in 64-Bit! Huge selection of monitors at unbeatable prices and complimentary free shipping!